The largest and bloodiest battle ever fought in Kentucky occurred October 8, 1862, as Major Genera Don Carlos Buell’s U.S. Army of the Ohio fought elements of General Braxton Bragg’s C.S. Army of the Mississippi outside the town of Perryville, KY. In five hours of fighting, 7500 casualties occurred. 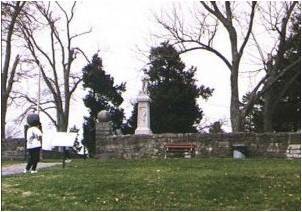 The park (which has been called one of the best preserved battlefields in the U.S. and the most significant non-Federally-owned Civil War Battlefield) is owned and managed by Kentucky State Parks. This coming weekend is the annual commemoration of the battle. This entry was posted in Battlefields & Historic Places, Battles, National Park Service, Western Theater and tagged Kentucky, No NPS? No Problem, Perryville. Bookmark the permalink.